Passionate about: Getting outside and making an impact in my community. Outside interests: More than anything else I’m driven to climb, but it’s hard to stay focused on that when there’s surfing, skiing, sailing and hiking to do. If I wasn’t working at all, I’d be living the dirtbag life, driving around from crag to crag and living out of my car. Path to Patagonia: A climbing partner of mine noticed a job on the website that fit my skill set and told me, “Dude, you have to go for this.” To be honest, I wasn’t very familiar with Patagonia before applying. I knew they made high-quality outdoor gear, but I didn’t realize quite how awesome the whole company was. During the interview process a series of friends from climbing, surfing, skiing and the apparel industry taught me about the company and I got more and more psyched. Still, I was nervous to move from Portland, Oregon. When I finally visited Ventura and saw the company for myself, I realized the reputation was real. I felt how the style resonated with my own and I knew this was the place for me. 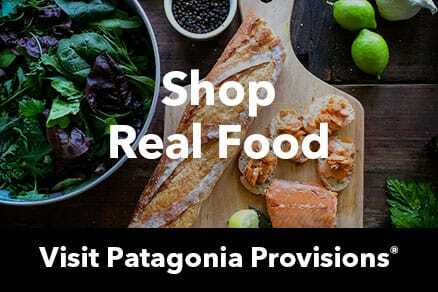 There are certainly incredible day-to-day benefits about working for Patagonia: a community of active, healthy and inspiring people; a flat organization where you can find vice presidents having lunch with entry-level employees; a great surf break a few minutes from the office; a tasty cafeteria. Favorite part about your workday? When the surf is good, or even halfway decent, my favorite part of the day is getting in the water with my colleagues. Of course getting in the sun and riding waves is rad any time, in any situation, duh, but there’s nothing like sitting in the lineup with a gang of Patagoniacs. Between sets you’re talking business, swapping stories and getting to know each other beyond our job titles. You’re watching your experienced colleagues rip it up, you’re helping the new guys catch their first wave, and when it all clicks together, you and all your friends ride the party wave back to the beach together. I was backpacking in the Wind River Range by Lander, Wyoming, with a girlfriend, when a simple trip turned into an epic. On day 2, we left the tent and gear at camp for what was meant to be an eight-mile loop. Twenty miles later with the sun going down we realized we had taken several wrong turns and were lost in a very wild and remote place with no food, water, equipment or clothing for the cold night. We decided it was safer to go out the other side than back the way we came. After a long hike in the dark, a freezing night by a fire and the help of a logger, a Shoshone family and the NOLS HQ in Lander, we made it back to camp three days later to get our gear. Then we were caught in a hailstorm. I would never plan a trip like that again, but I’m thankful to have seen such an incredible place, to learn what I’m capable of in tough situations and to realize how giving people can be to someone in need. I’d like to leave any community I’m in better off than when I arrived. It’s a tall order for Patagonia, there’s already so much going well here, but it’s still a small enough place for a single person to have an impact. 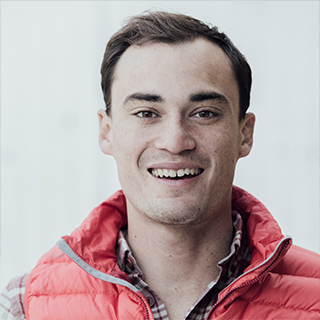 In the capacities of my job, I’d like to add to Patagonia’s legacy of progressive HR policies that stand as a model for how all companies should treat their employees. As a part of this community in Ventura, I’d like to be remembered as someone who added to the culture of positivity, appreciation of the awesome landscape on our doorstep and having fun at work.